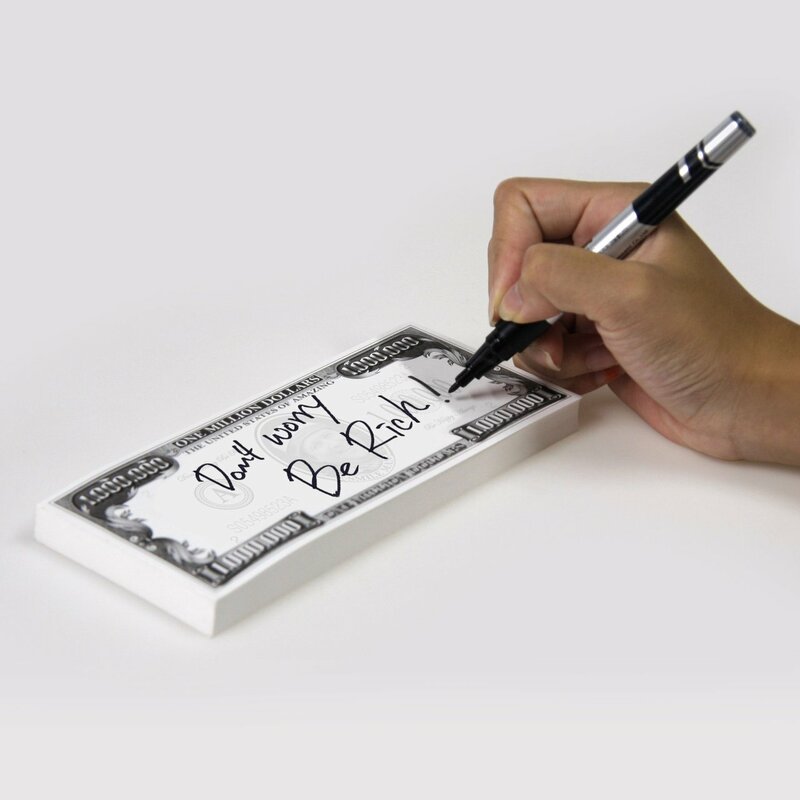 The image of a wad of money symbolizes “Becoming Rich” Unlike actual denominations, this notepad carries only the image of money. Packaged in a transparent PET hard case. The center region is imprinted so blurred that it can be clearly written. The pad is a wad of ordinary memo pad bound at one side it is not made of a sticky memo.